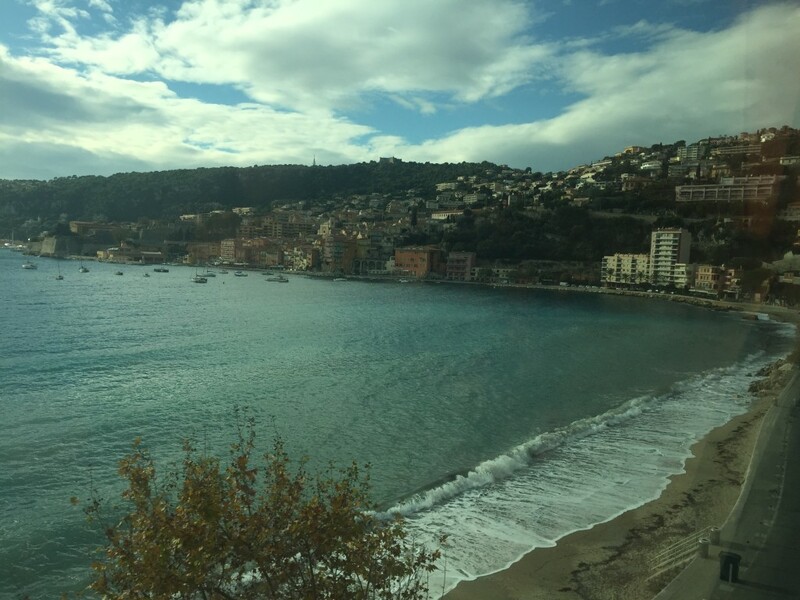 Most Scenic One Day Visits - Nice to Monaco | Its the journey that matters. 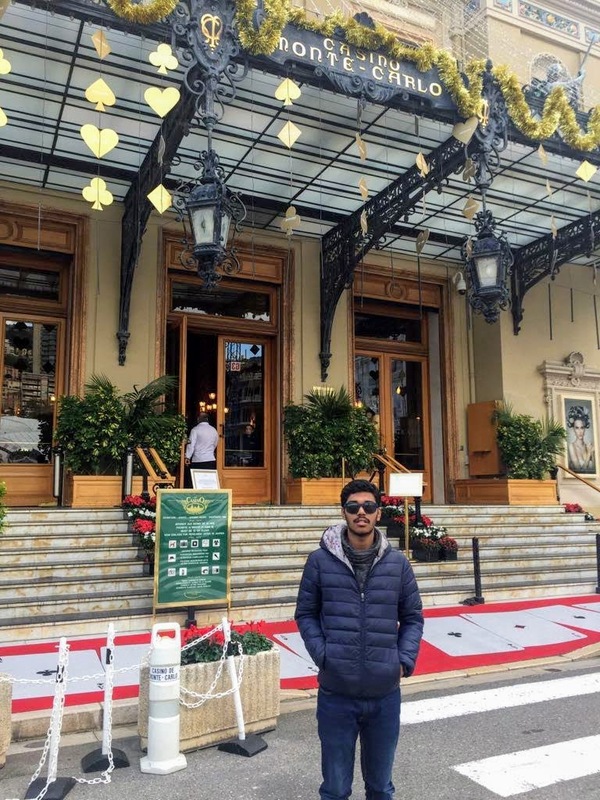 Is a One day visit enough to enjoy Monte Carlo in Monaco? If this is what running in your mind, then let me tell you. 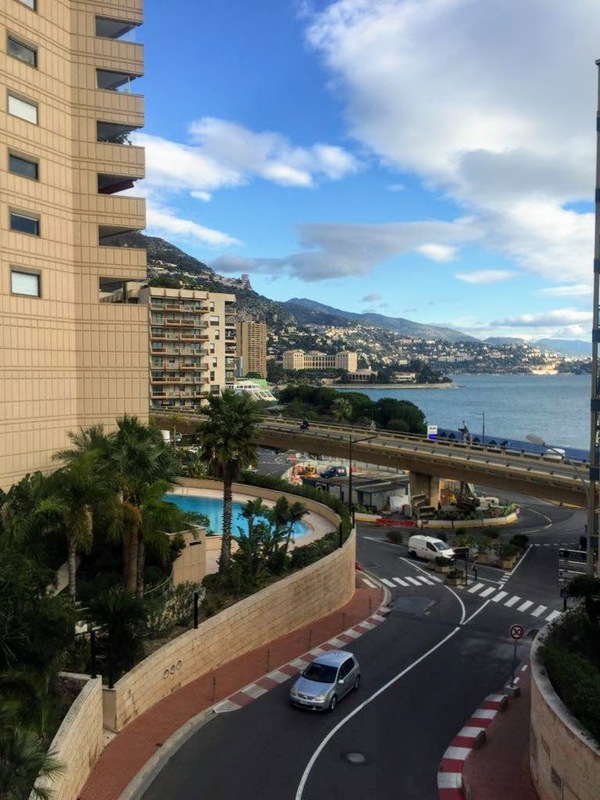 The whole size of Monaco is just 2 square kilometers. 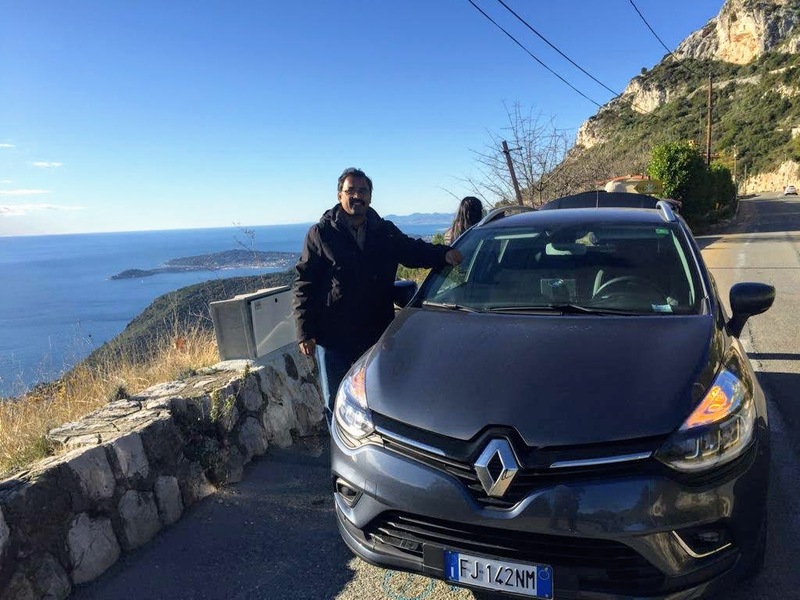 That is what makes it a perfect destination for a one day visit especially if you are on the French Riviera. 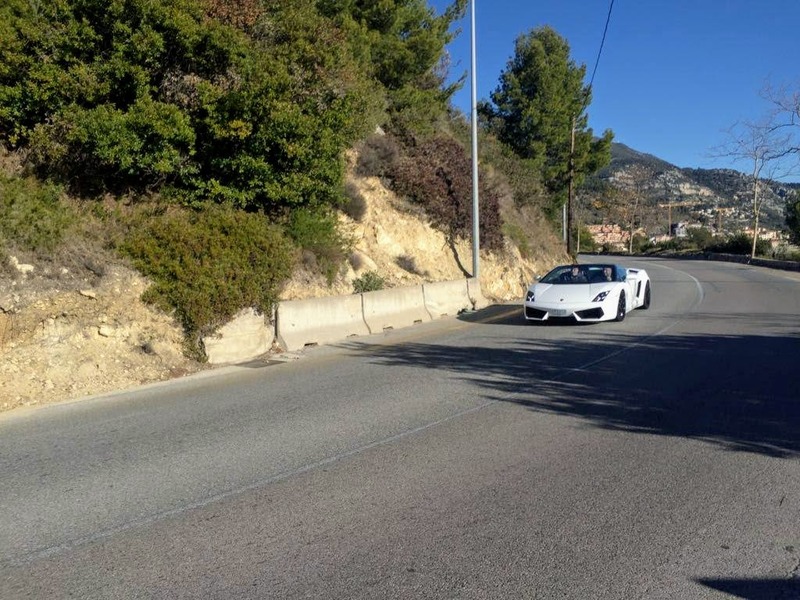 You can reach Monte Carlo through any of the 3 different roads from French Riviera according to your level of adrenaline rush. All the three path offers a splendid view of the coast from the Cliff. Especially, the Grande Corniche offers the best views with many twists and turns. No, that was not my car. We can encounter more such luxury cars when driving along this route. And here comes my humble steed! If you are looking for public transport, then it is possible to get here by train or bus [no. 100] from Nice. The cost for the train travel is 3.5 euro, but the bus is even cheaper – it costs only 1 euro. Is it not sweet? And do remember to seat on the right side of the bus towards Monte Carlo. Why? Do it, and I know you will thank me! Yes, the beautiful views from the mountain will be breathtaking. There are no official immigration check-points when entering Monaco and hence no stamping on your passport. But if you love to collect the visa as a souvenir then make sure you visit the Tourist office. 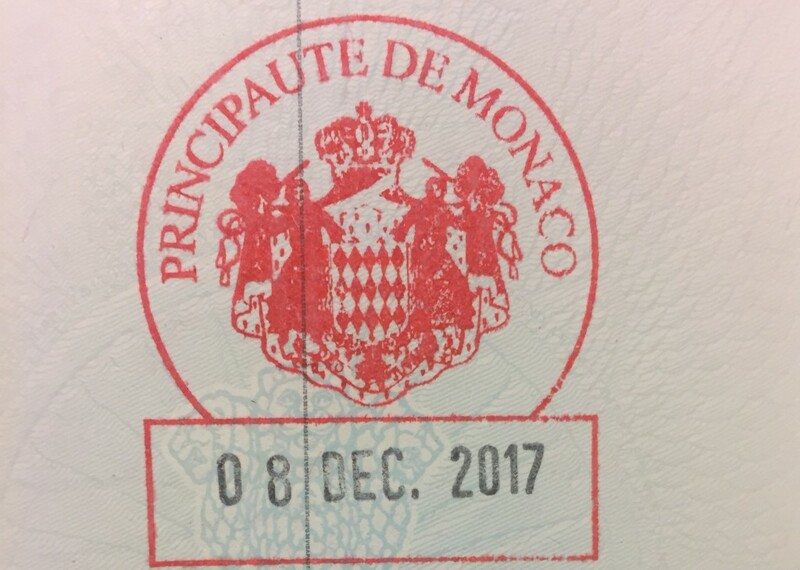 They will be more than happy to stamp the seal of Monaco. 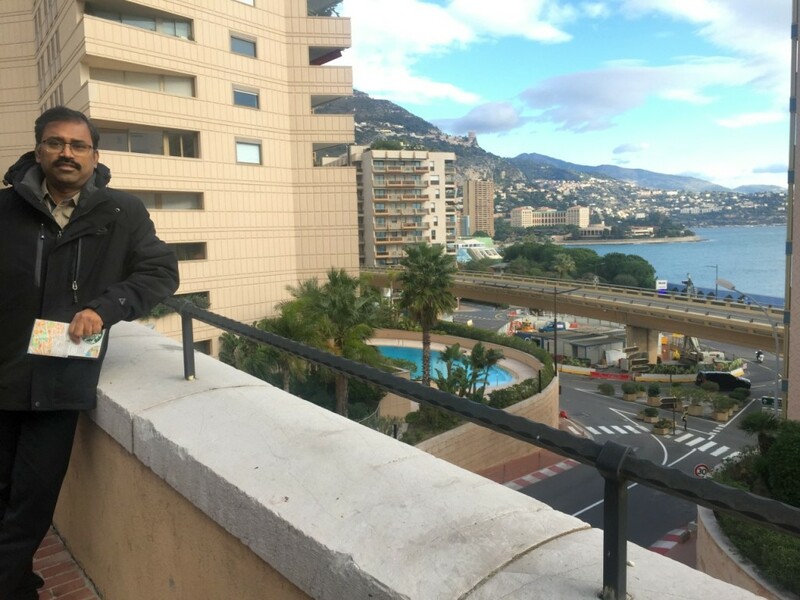 You don’t need any travel guide or maps to visit Monaco. If you had picked one from the tourist office, then that would be more than sufficient. Note that its almost impossible for you to get lost here. On a lighter note, remember, if you succeed that is the most enjoyable part of this trip – getting lost in the land of Lamborginis & Ferraris. This is also the land of street racing. And I mean the official F1 race – Monaco Grand Prix. The streets run through many elevations and layers and hence the walk here could be tiresome. But still, I would say this is one of the best disable-friendly countries. Why? Because you will find elevators and lifts almost everywhere in the streets. So do not be surprised if you took an escalator and reached 3 levels up, and still see the bus plying around there. 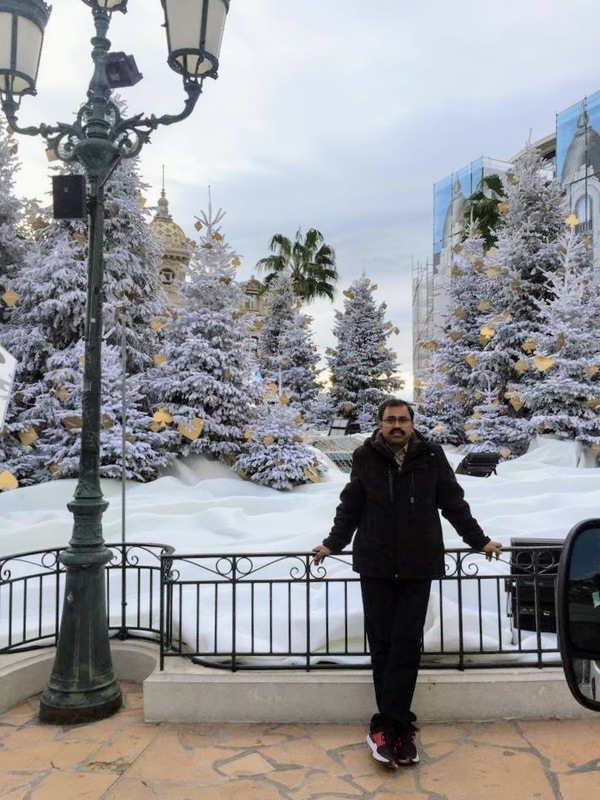 From the tourism office, walk further to reach the famous Casino Monte-Carlo. I personally do not believe in luck. But this is like a heaven for those who love gambling. 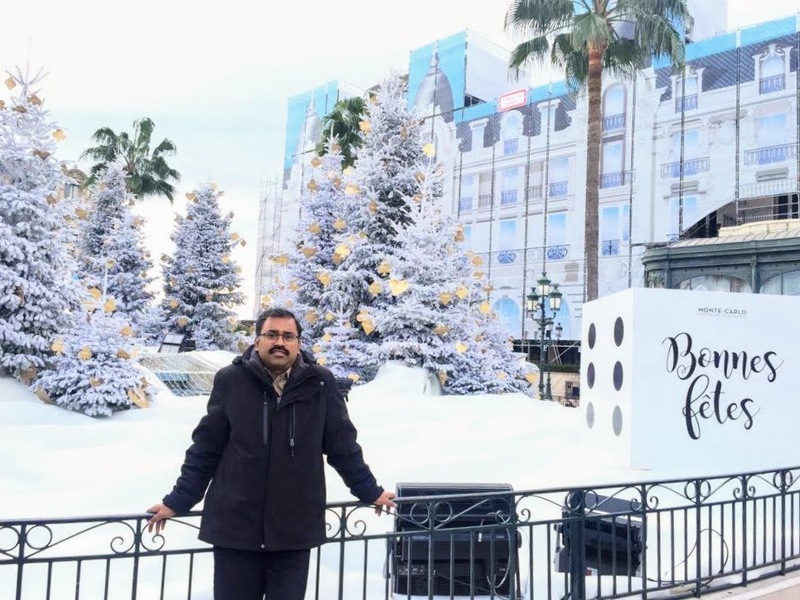 So, peep into the luxurious Casino and spend some time to get a royal feeling! You can guess the status of each who come here by car they arrive. 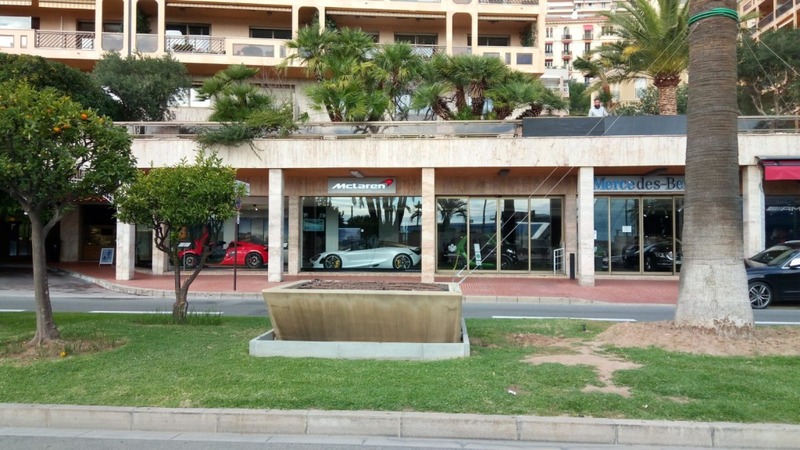 You will notice many Bentleys and Aston Martin being parked here. Then start your stroll from here descending down. The walk will make you realize how challenging the turns and curves could be for even to an experienced F1 driver. Continued the nice walk further towards Grimaldi Forum to reach the Japanese Garden(Jardin Japonais). This is where you will notice almost every luxury car makers showroom. Lamborghini, McLaren, Maybach, Rolls Royce, Mercedes, Ferrari and every other brand. 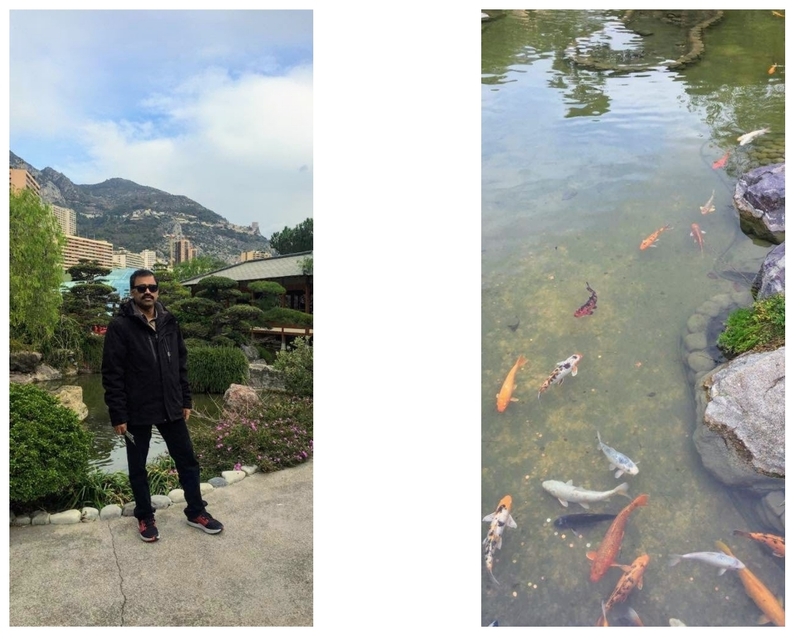 Jardin Japonais is an authentic Japanese garden and a must-see. 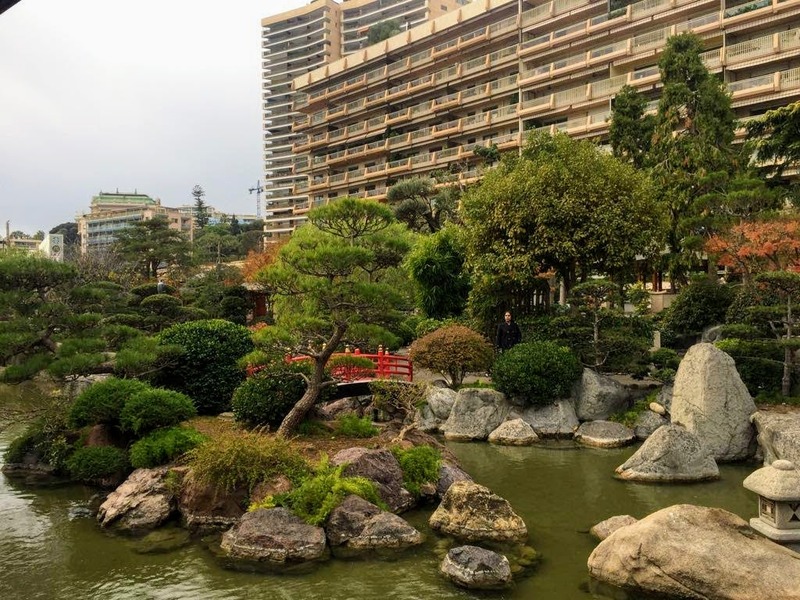 The Jardin Japonais is a lush Zen garden complete with water, stones, and vegetation. It’s just over 7,000 square meters and inside you’ll discover a beach, a pristine stream, and even a rushing waterfall. 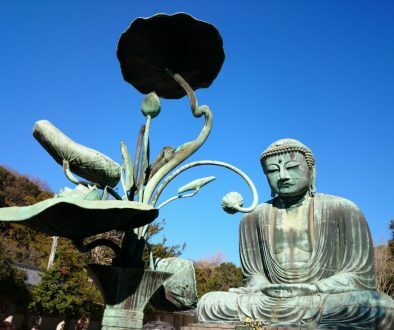 Nice place to have your meditation! 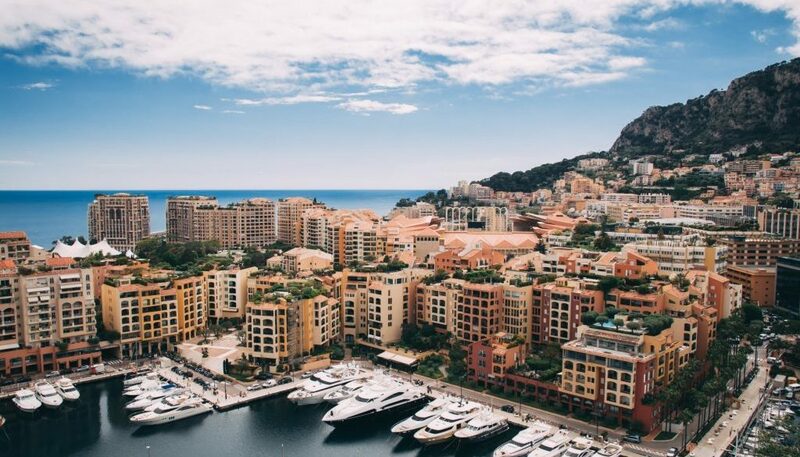 Before going back to the top where you have the Monaco Ville, you could make a visit to the Yacht-parked ports. 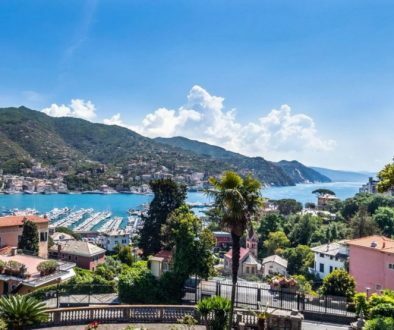 This port is one of the prestigious port that is used for parking the millionaire’s Yacht. Interestingly, this is one country where you do not have an Income tax. Which means most world billionaires will have this as their second home! And that is one more reason why the whole country is packed with Aston Martins, Lamborghinis and Bentleys. If I say Porsche is a common car over here, I am not exaggerating. 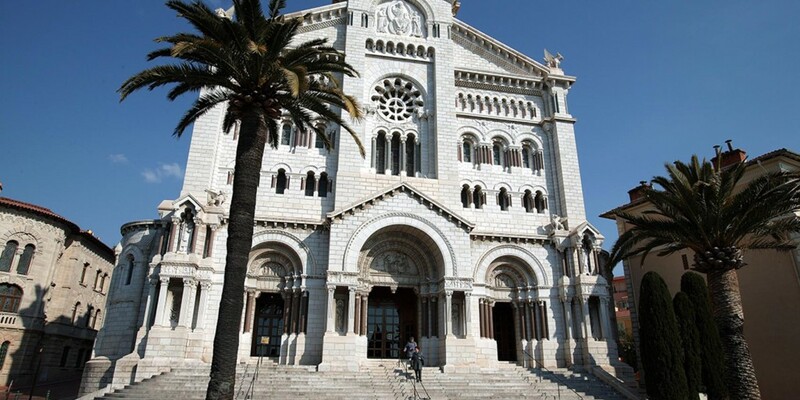 In the town of Monaco-Ville, you have the Oceanographic Museum, the Cathedral, and the Prince’s Palace. 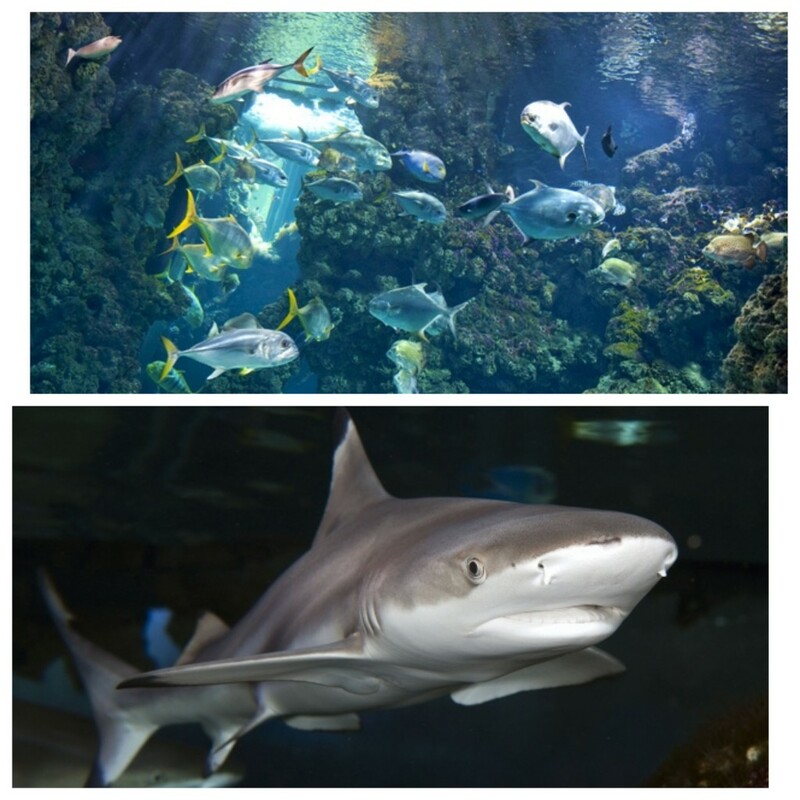 The Oceanographic Museum is an interesting place with Aquariums which has around 6000 specimens including the monumental Shark Lagoon. Want to touch and feel the Star fish and other species, please make your dream come true here. Yes, for an additional fees they do offer such activities in here. Keep a note on the open hours which varies based on seasons. The Cathedral was built with white stones from La Turbie in 1875. This Roman-Byzantinee style building houses the burial places of past princes. Admission is free for the public. 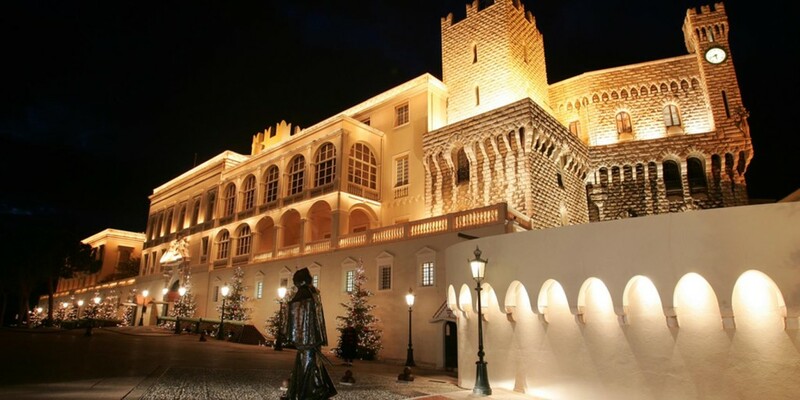 The Palace has a long history and has gone through a lot of renovations over the centuries. Its origins date back to the early thirteenth century. Today, it is possible to admire the splendors of the Palace, including the Palace Chapel, the Hercule & Mirror Gallery, the Red Room etc as well as numerous frescoes, and items of furniture. One day is just enough for these visits. But who knows, your dream of coming back here in one of your own Yacht may become a reality sooner. My wishes for the dream to come true!! Thanks. Yes, the museum is very interesting but could take more time if wanted to explore all activities. Probably a good idea to stay in Nice and make a visit. Amazing post and gorgeous pics. Thank you Sonia! Happy u liked it. Simply stunning. I must add this to my list of places to visit. That’s a pretty detailed itinerary! I was planning for Monaco from Brussels but wasn’t sure how long would be enough for a proper visit. Great pics too.